To Pearl Nielsen, grandmother. From Rachel Belovich. Thank you for being a role model in both life and your unending compassion for others. You taught me that being kind and loving is the most important thing somebody can be. 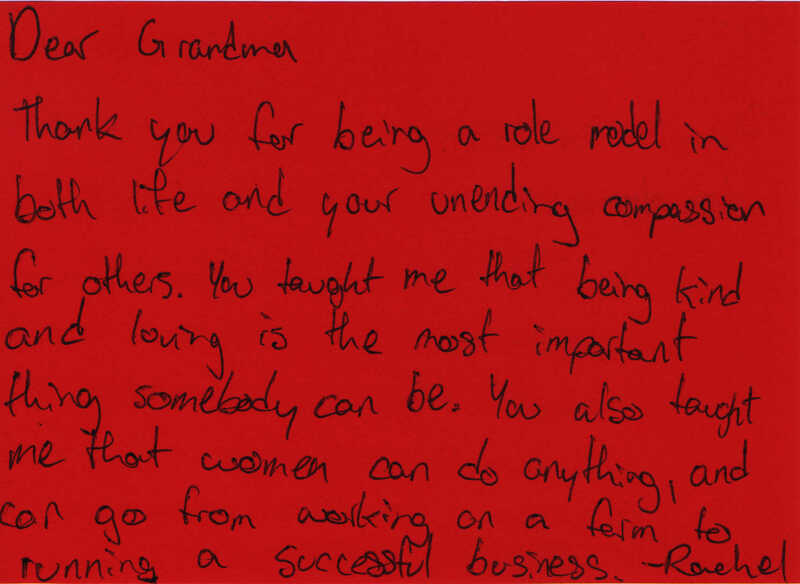 You also taught me that women can do anything, and can go from working on a farm to running a successful business.